Local information tailored for you! Where do you go to find a plumber, you can trust? Discounts on restaurants in your area? Find out the value of your home and the ones nearby? How can you easily reach your real estate agent when you have questions? Search 4 different apps or web sites. Way too much work. LivingLinc – one place, one app to find all the local information you need! 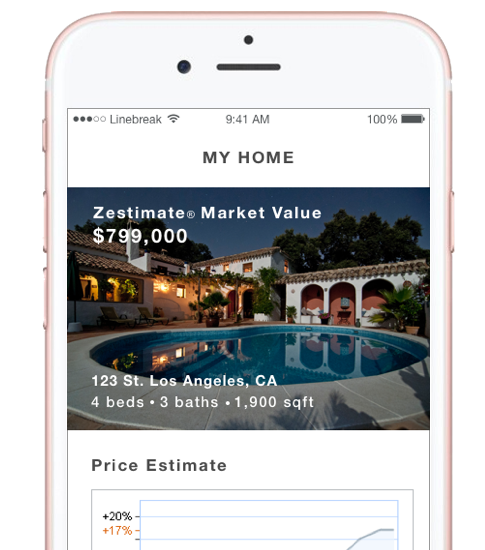 Find the value of your home and search recent comparable transactions of property in your neighborhood powered by Zillow. Find local deals and service providers around the area. Maintain contact with your trusted real estate professional. For questions, support or to learn more, enter your name and email below.